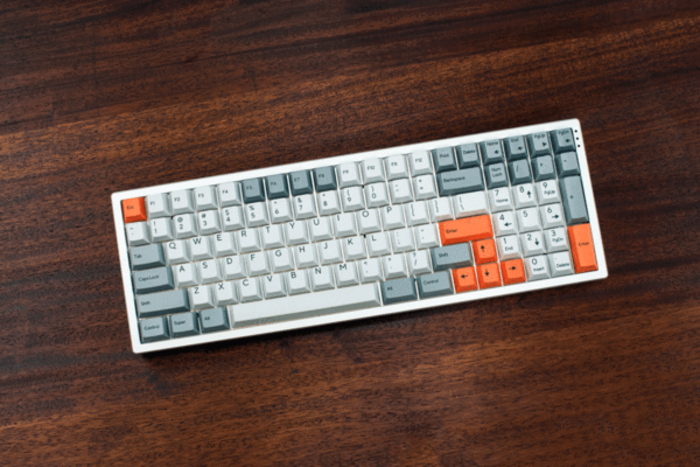 Designed by Angelo Tobias, known online as thesiscamper, Kira is a condensed full size mechanical keyboard, specifically optimized for creative work and winning at video games. The form factor for Kira is commonly known as a "96-Key Layout", which is a bit of a misnomer as Kira has 99 keys. New features in Kira, unavailable in any of our earlier keyboards are layer indicator LEDs on the right side of the keyboard and a giant light pipe foot that makes up the bottom half of the keyboard. Kira will be fully programmable, use a USB Type C connector, and will be open source.